When people think of supplements, they tend to relate them more to drugs than to food. This is partly due to the way they look, (tablets, capsules, etc.) and from their origins in clinical settings. It is important to understand that nutritional supplements are, in fact, super foods and super nutrients, not drugs. ?The major categories of supplements that have emerged are those provide energy in particular protein shakes, carbohydrates and pre & post work out supplements. They are available in the form of gels, bars, chews, shakes and snacks to provide instant energy on the move. There is another range of supplements that deliver vitamins and minerals, which may come in various forms such as pills, capsules, tablets, potions and powders. 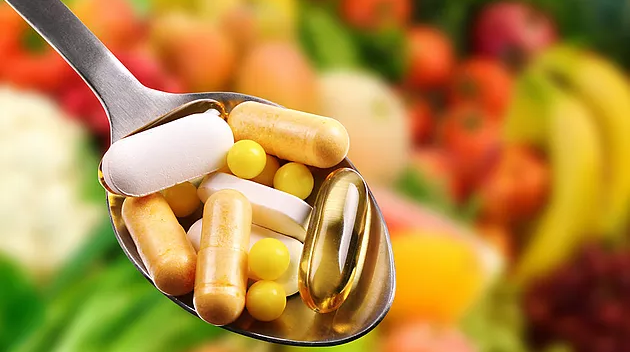 As the requirement of these supplements differs from person to person, it is always better to consult a doctor or sports nutritionist before you start taking one. Prefer natural foods and drinks over supplements unless it is really necessary. Try the supplements well in advance before the event and make a nutritional plan according to your body type. Watch out for the nutritional information and added ingredients in the supplements that you want to use. Test out different flavors and brands with your sports nutritionist?s consent and find out which supplement works best for you. Make sure if your stomach can digest the proteins from the supplements. Don?t use the supplements if you spot any problems like stomach upset or other warning signs. Don?t take supplements if you are on a restricted diet or medication unless prescribed by dietitian/doctor. Don?t try any new supplement products just before any event if you have not used it during your training. Never compromise with the quality of the supplements. Don?t rely completely on the supplements, as they are not the substitutes for a balanced diet and quality training. Don?t use the supplement just because others are using it; every individual has a different requirement. Keep in mind that most of the supplements do not go through the same safety checks as the medicines do. Therefore, always consult your dietitian/doctor before trying them.